Laser and ruby rod. 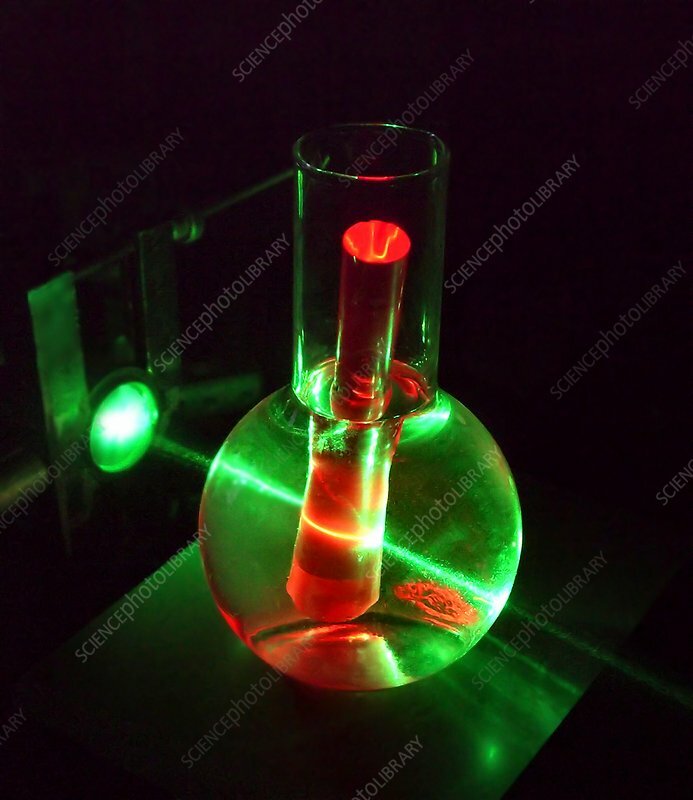 Experiment with a green laser beam being used to induce red luminescence in a rod of artificial ruby. The laser beam is also passing through water in which the rod is partially submerged. Synthetic ruby is used to make ruby lasers, where green laser light is absorbed and re-emitted as red laser light.